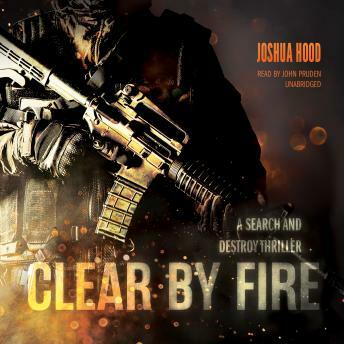 Inspired by the experiences of a decorated combat veteran and former member of the 82nd Airborne Division, Clear by Fire is a blistering new military thriller about an American hero who, in order to clear his name, must take down a highly classified band of soldiers that has gone murderously rogue. Mason Kane was a loyal American soldier and a proud member of the elite, off-the-books Anvil Program—a group of black ops soldiers who wage war from the shadows. But all that changed when his commander, as a part of a twisted scheme to force America’s continued involvement in the Middle East, ordered an innocent Afghan family murdered. Refusing the order, Mason finds himself on the run, hunted by his former comrades and labeled a terrorist by the country he served faithfully. Relying only on his survival skills and the help of female Special Operations operative Renee Hart, Kane must embark on his gravest mission yet: unraveling the conspiracy that reaches all way to the president’s inner circle and stopping the world’s most dangerous soldiers from completing their treacherous plan. Set in the shadows of the war on terror, this realistic, action-packed adventure puts a twist on the traditional military thriller and starts a brand-new series that fans of Brad Thor and Brad Taylor will love.